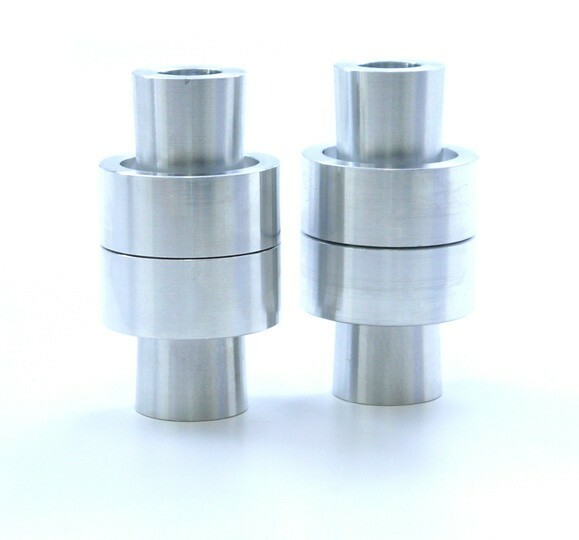 Our SPL FKS front lower arm bushings replace the stock mushy rubber bushings with low-friction articulating spherical bearings, eliminating bushing flex and reducing friction. This maintains optimum suspension geometry under load, to improve handling and feedback. Our SPL FKS series bushings feature FK racing bearings with a self-lubricating teflon liner for long life and maximum performance. 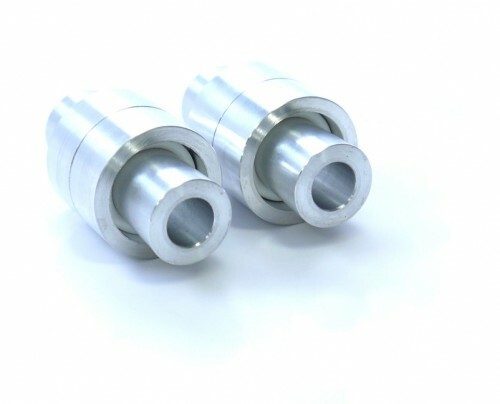 Highly precise (machined to 1/1000th inch) CNC machined T6061 aluminum bearing shell and sleeves provide an accurate fit.